Fly with us over Berlin and Potsdam and watch places like the Sanssouci Palace, Tempelhof Field, the Oberbaumbrücke and the inner city from a bird’s perspective. 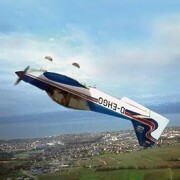 A flight with our experienced aerobatic pilots promises pure adrenaline! Loops and spins. Immelmann and hammerhead turn as well and inverted flight are just names for what we have in store for you. 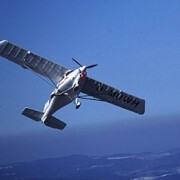 You will not forget about it once you experienced aerobatic flying! Free fall it’s hard to describe. It’s best if you experience it for yourself! 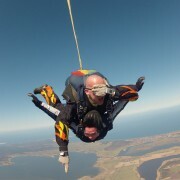 Come with us to 4.000m and jump with an experienced tandem pilot back to Earth. Experience about 50 seconds of freefall and a few minutes of canopy flight and then end up with a big smile back on Earth. You would like to just relax sometimes and get out of town? Then join us on a day trip to the Baltic Sea and take your wife, husband or children along. No stressful drive and only an hour of flying time and you can enjoy your time out fully. We will be back in Berlin in the evening promptly before sunset. You are always looking for new challenges and have been thinking for a while about taking the helm of an airplane? 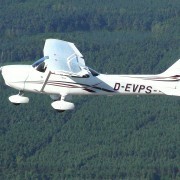 With our experienced instructors you will be pilot for a day. You get a detailed briefing on the airplane and then you will control it on your own for the first time under professional guidance. 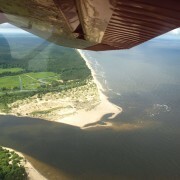 Some places are especially beautiful from a bird’s eye view. Or maybe you need aerial photographs of an object for business reasons? Whether you want to shoot yourself or would like to book one of our professional photographers. We will supply the aerial photographs that you need! Just ask us for a quote! Give away a very special experience. 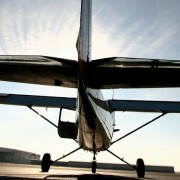 We offer the best experiences in aviation like scenic flights, aerobatics and skydiving. All vouchers are digitally created and you will receive a printable voucher within seconds. That’S why these vouchers are well suited even for last minute shoppers. You need to do several business appointments in a day, which can not be realized with the car? We will fly for you to over 2,000 airports in Europe and back again. You will travel easily and comfortably from A to B and we will also arrange transportation for you from the airport directly to your business meetings.